Our whelping boxes are strong, sturdy, easy to clean and pack away flat in 4 simple parts for easy storage. They are made of Aluminium Composite Panel (ACP) strong, light and impervious to fluids. ACP does not degrade or swell over time and makes them easy to clean. They come with a full sheet floor. 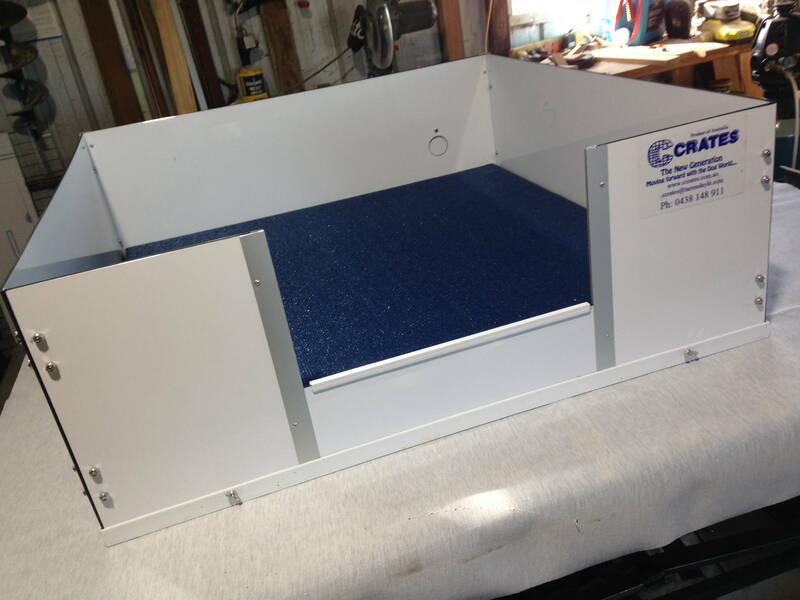 We use stainless steel fasteners so that they don’t corrode, your Whelping box will provide you with years of use. We also offer pen extensions that connect to the front of the Whelping box. made of the same material as our secure Pens. Sizes and heights vary. For easy storing we also have a storage bag as an option.